If you’re debating over which places to visit in India, hopefully this article (and video!) can convince you to travel to Rajasthan! The whimsical region is full of rich culture, extensive history, incredible architecture, delicious food, intriguing cities and secret sites. 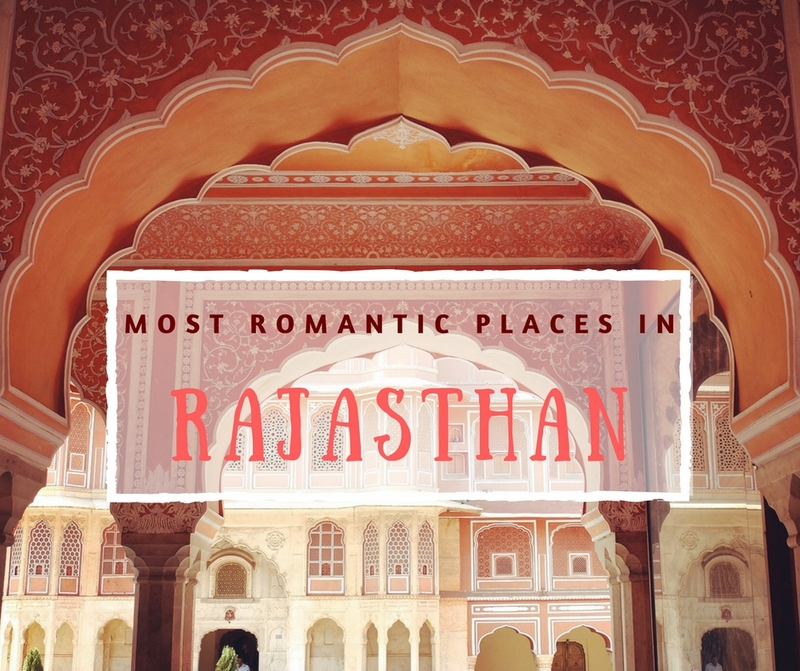 Fall in love via our Romantic Rajasthan travel itinerary below! Check out our new video series to be tempted to Rajasthan (click the play button and off you go! And please subscribe to my channel if you follow other Youtube channels!)! Alternative more information (and places to visit and restaurants) is included below, along with useful links to either detailed articles on this site, or external websites. Located in northwestern India, bordering Pakistan and with Punjab to the north and Gujarat to the south, Rajasthan is the country’s largest state. History lovers will be drawn to its jaw-dropping palaces and forts, Nature fans will be treated to some stunning natural parks and the wonders of the Thar Desert, shoppers and foodies will love getting lost in its colorful bazaars, the zen-minded will feel at peace at its spiritual sites and everyone will adore its both relaxed and energizing vibe. It’s the perfect taste of India, especially for a first visit to what can be an overwhelming country. Because Rajasthan is very arid, it’s dry virtually year-round, saving it from the deluge of the monsoon other regions of India are hit with. However, that means it’s very hot, so be prepared to sweat… and do most of your touring early in the morning or as of the mid afternoon. Since it’s easily accessible from Delhi, it makes sense to start your Rajasthan explorations in Jaipur. Nicknamed the Pink City, Jaipur is known for its splendid palaces, markets and textiles. You can get a good primer of Rajasthani history and traditions on your first day by visiting the City Palace. Once the seat of the Maharaja of Jaipur, the beautiful complex has since been converted into a series of museums and some of the royal rooms, like the divine throne room (beware of guards and staff trying to “give you a tour” and then expecting $$ for it… the costumed guards will also expect a tip for taking photos with them). Around the corner is the enchanting Hawa Mahal, commonly known as the Palace of Winds. Its facade features almost a 1,000 tiny windows, through which the ladies of the court could peek through to spy on everyday life. You can get the best view of the palace, not inside it, but on the rooftop terraces of the cafes across the street (look for the tattoo cafe). While you’re here, walk about a block up the street (on the Hawa Mahal side) and you’ll come across where you can get your best souvenir of the trip: a vintage photograph of you and your sweetheart taken by Tikam Chand Pahadi with his authentic 1860 Carl Zeiss camera (wow!) You’ll usually find him set up on the sidewalk. On the outskirts of town is a third palace, Jal Mahal, also referred to as the water palace, a former summer getaway for the royals. You can stop to gaze at it on the way out to the Amer Palace and Fort (Also spelt Amber). Crowning a hilltop and part of a network of snaking fortifications, it’s a most for any trip to Jaipur. While it can get a little crowded, there are plenty of secret corners and empty rooms you can wander through away from the other tourists…. and sneak some kisses. After Jaipur’s palaces, get a little more offbeat on your second day by checking out its many markets, which you can discover on a fascinating Bazaar Tour with Jaipur Magic. Join a local guide, in my case it was Shyam, as he or she deftly maneuvers the city’s busy streets and mysterious passageways on your way to the bazaars dedicated to jewel, textiles and produce. You’ll also get to try the city’s best chai tea, some local snacks and experience lots of local flavor. If you want to go a little more offbeat, then I’d recommend taking a private tour with Vinod of Around About Jaipur. 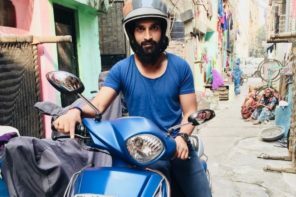 Born and raised in Jaipur and from a family of gypsy musicians, this friendly and fun guide/tuk-tuk driver knows the ins-and-outs of the city and can take you to places you wouldn’t necessarily find on your own. Your day could include visiting the peaceful and little visited gem the Royal Gaitor Tumbas or the beautiful Birla Mandir, a contemporary Hindu temple paying homage to the different religions of the world. If you get on really well, you might be able to ask Vinod to introduction you to some of his friends or family, or a day could end very over a crisp beer on his favorite rooftop bar. A great way to end your day would be with a unique meal in Jaipur book a table at Meraaki Kitchen. This recently opened restaurant is shaking up the Jaipur dining scene with its delicious and creative takes on Indian cuisine, some prepared right at your table in their romantic garden. You don’t have to just admire the city’s palaces by day, you can also sleep in at the Alsisar Haveli. A secret haven, this elegant royal mansion features gorgeous common spaces, a lovely pool and stylish rooms with traditional character. Take a shift from regal Rajasthan by moving on to spiritual Pushkar. Located on a small lake, the town is an important place of pilgrimage with over 500 temples, many of which are hugging the water’s edge, a special place to take a stroll, in the divine tranquility… well except for a few munching cows. Pushkar is also very famous for its annual camel fair, which is held in mid-November. Don’t worry if can’t make it then, you’ll certain come across some of these humped animals during your stay and if you really want to get up close and personal with them, there are various camel rides you can do right in town. 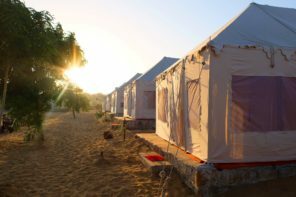 The fair aside, there are lots of festivals in Pushkar, so there are good chances you’ll run into some excitement while you’re there. An excellent way to explore Pushkar is by scooter, available pretty much anywhere in town and for a nominal fee. This will allow you to get a glimpse of the surrounding area, a offering a more authentic look at this part of Rajasthan… just be prepared to swerve around cattle and fend off monkeys! Getting lost is part of the fun, but you could have a goal. We were aiming for the Ajay Pal Shiva Temple, around a 20 minute drive from Pushkar, which was overrun by monkeys so we couldn’t get close up, nevertheless, seeing the village life and setting sun over the hills as we drove there and back was the real highlight. At the end of your wanderings, sit back and relax at one of Pushkar’s rooftop eateries. Our favorites are Mango’s Heart Rock Restaurant, for its chill vibe and friendly host Mango, and Laura’s Cafe with its unbeatable views over the lake. From Pushkar push westward to Jodhpur. Another regal city, its royal roots go back from centuries. 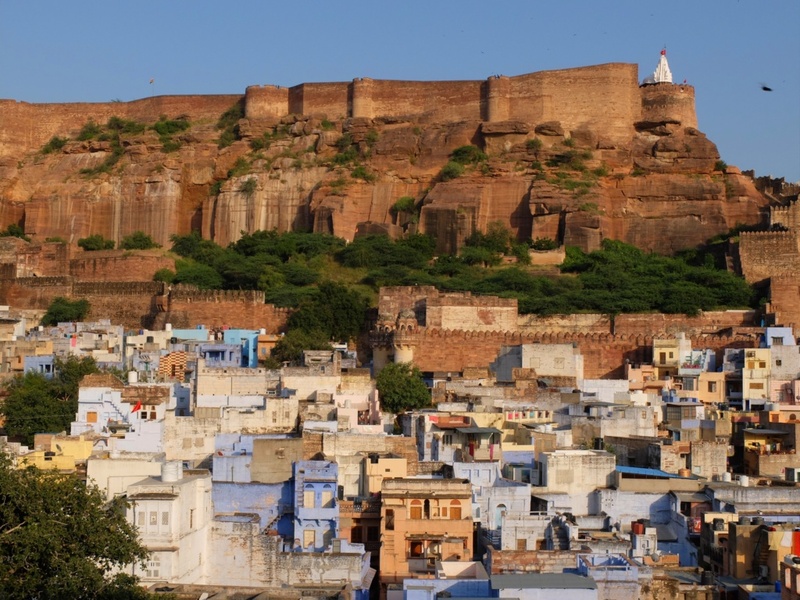 You can learn more about these by climbing up to the Mehrangarh Fort. The views from above are fabulous and the area is quite abuzz with locals due to its temple. The palace building is very impressive to view up close and it’s well worth paying the entrance ticket to go inside so you can imagine the extravagant life of the Maharajas touring its displays and ogling at the intricate, gilded interiors. Just like Jaipur is the pink city, Jodhpur is the blue one. You can discover why on the Brahmins and the Blue City tour by Virasat Experiences. From seeing a hidden lake to be led through the insane maze of the winding streets of the old town and from having chai in a residence’s historic home to gobbling down tasty treats, it’s a great insider experience of the city. 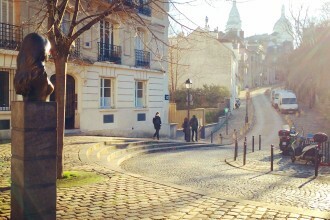 I would never have been able to navigate these streets alone! Afterwards find a seat on a rooftop cafe to enjoy the spectacular sunset over the fort, like at the Haveli Pal Inn near the Clock Tower. The area also has some other treasures, like Mandore. Previously the capital of the Rathore dynasty before Jodhpur took its place, you can take a tuk-tuk out to tour the very little visited remains of the fort as well as the stunning Royal Cenotaphs located in a sublime garden. Keep in the historic ambiance going by staying at the Singhvi Haveli, the oldest haveli hotel in Jodhpur. Tucked away on a quiet and very local street of the Old Town, it has charming rooms decorated with family antiques and traditional Rajasthani decoration, varying in size and budget. I also has a great rooftop restaurant with fabulous views of the fort, which is a short 5 minute walk away, useful for an early morning visit up there on foot. Or why not stay a few extra days in the Jodhpur area with a mini romantic retreat at the Bal Samand Lake Palace. Set on India’s oldest manmade lake on the edge of Jodhpur, the local Maharaja has opened up his sumptuous palace to guests with luxurious accommodation within the palace and attractively converted outbuildings. The property has absolutely gorgeous grounds, ideal for a late afternoon stroll and cool down dip in their lovely pool. Keep your eyes out for the estates large population of peacocks and … monkeys. The hotel has an excellent restaurant, both located in their elegant dining room and outside in the garden, which is also open to outside guests. Keep heading west, deeper into the Thar Desert and you’ll reach the most charming city of Rajasthan, Jaisalmer the Golden City. Being a full day’s drive from Jodhpur, near the India-Pakistan Border, Jaisalmer’s distant location has helped it maintain its mystic. Like many of the other cities of Rajasthan, Jaisalmer also has a palace-fort, however, different from the others, the fort area is very much still lived in by local families. Let yourself drift through the narrow streets, peering into the many temples or stopping for a chat with a friendly resident. Visiting the inside of the palace is also a delight. When we visited, there were hardly any other people, allowing yourself to pretend to be the king (or rather maharaja) or the castle. Your meander through will lead you up to the rooftop where you’ll be rewarded with a lovely view of the shimmering city and the desert beyond. However, the palace isn’t the only beautiful building you can admire, several other aristocratic homes (havelis) of Jaisalmer are now museums, so hop in a tuk tuk and get your driver to take you around to see some of these gems. Don’t miss the exquisite Patwon Ki Haveli, which is stunning both inside and out (can I move in??). The Mandir Palace is also splendid. Part of it has been converted into a hotel, however, much of the rest is a museum. Towards the end of the day make your way to Gadsisar Lake, located on the edge of town. Here you can take out a boat or merely stroll around the water and take in the serene atmosphere. The late afternoon light is particularly lovely, but you might want to be settled in on a rooftop terrace for drinks or dinner, like Killa Corner, right across from the entrance to the fort complex, or Kaku Cafe – both with tasty food and fantastic views of the glowing fort (the latter is perfect for sunset and the former for evening light). You can have some respite from the scorching heat of Jaisalmer while staying at the Hotel Rang Mahal. This grand hotel was designed to look like a castle. Inside it feels very much like a palace with a lovely heritage-style decor, comfortable air-conditioned suites, and a heavenly garden and swimming pool. Enjoy a romantic candlelit dinner in their garden, their restaurant is truly delicious. While in the Jaisalmer area, you won’t want to miss exploring the marvels, and secret places, of the Thar Desert. The most romantic option is to have an overnight at a desert camp, but leave early enough to first stop at Amar Sagar, a beautifully carved Jain temple sitting next to a small lake. Afterwards get your driver to take you to Kuldhara, a “ghost” village, which was abandoned – and cursed – by its residents to spite the local ruler who wanted to forcibly espouse a beauty of the village. This eerie and curious site definitely adds some additional mystery to the desert. Pushing on, you’ll soon reach the Sam Sand Dune, where most of the desert camps are. For a more comfortable stay, book in at the Prince Desert Camp, set in a discreet location further from the others, it also has large, more luxurious individual swiss tents. Later in the afternoon, you can take a camel ride out onto the dunes, the perfect place to savor a gorgeous sunset. Back at the camp, you’ll be treated to a wonderful evening of desert culture, music, dance and cuisine. The entertainment is authentic and dinner consists of traditional desert dishes in copious quantities. Before calling it a night you can take in the quiet of the desert gazing up at the twinkling starry night. However, be sure to get a good night’s sleep to be able to wake early enough to experience the delicate desert sunrise. A special and very romantic way to end a trip through romantic Rajasthan. 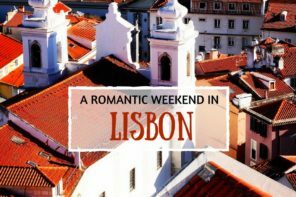 I hope you found this overview and tips useful! I didn’t get a chance to visit Udaipur which is also supposed to be very romantic. If you have any other tips to add, please share them in the comments below!